﻿Feeling low? Need a boost. Why not #FeedYourHappy with WE ARE HAPS. The perfect drink to brighten those darker days. The recently launched brand HAPS have created new innovative ways to improve low moods and boost wellbeing in the form of this yellow sachet of goodness. Being a parent to a toddler is so much fun, but it can be so tiring. Our days are full of activities. Baby classes, play dates, walks in the park and that's without including the normal running around doing errands. So by the evening I have no energy whatsoever. Ever since my daughter started walking it's been non stop and it's great to know that there may be a new way to help boost my energy levels with HAPS instead of the 483398839 cups of coffee a day. Empower people to take control of their happiness. HAPS is a delicious fruit drink that is designed to help improve mood and boost wellbeing. The amazing sachets of goodness only contains Baobab, Mango, Pear, Pineapple, Guava, Banana, Griffonia Seed Extract, Ionic Electrolytes, Vitamins B1, B2, B3, B5, B6, B12, C, D, Zinc, Natural Flavour, Stevia. Unlike most supplements, there are no bulking agents. However it's more than just a delicious fruit drink. Let's talk a little bit about the reason behind HAPS. Rik who is the founder behind the brilliant idea that is WE ARE HAPS decided that one day he wanted to make a difference. Rik has experience mental illness at first hand. His mother suffered from depression and he has been a sufferer of anxiety and he became so frustrated that he decided to take action and in doing so he created HAPS. Hoping to empower others to take control of their happiness in the form of this delicious fruit drink. Why should you have a little bit of HAPS in your life? I don't know about you, being a parent to a toddler is hard work. I find it so hard to keep my eyes open past 8 o' clock some nights. After all the classes, the endless walks to the park, the mealtimes, prepping activities to do throughout the day - I have no energy left. Parents with more than one child to follow around all day, take a bow, I don't know how you do it. I am always looking for ways to try and boost my energy, which normally comes in the form of copious amounts of tea and coffee. But let's face it, it's not the best way to fuel myself for energy. A good nights sleep and these SuperFruit & Boosters sachets may be the way to go, so why should you have a little bit of HAPS in your life? 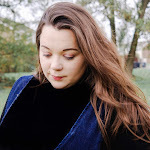 After discovering HAPS I thought that being a parenting and lifestyle blogger it would be something that a lot of my readers may be interested in finding out about. I have seen a number of people suffer from mental health and I thought that an innovative product such as this may be able to help empower them to take control of their happiness. I received three sachets of HAPS, which was a generous amount to be given but the perfect amount to see whether the product has any effect on me in any kind of way. The sachets are a very bright yellow and has the HAPS branding all over, I do like the bright yellow as it gives me a sense of happiness, sunshine and smiley faces. The black and yellow branding is simple but effective as it immediately grabs your attention. I immediately opened the sachet and all I could think about was the distinct smell of pineapple, it was so mouth-watering I couldn't wait to taste it. To make your HAPS you add a sachet of the powder to 250ml of water. Boom. That's it. The drink itself? At first due to the delicious smell I did expect the drink to taste a lot more fruity and sweet, but it was mild and tasty, not overpowering at all. I added one of these sachets to a Banana Breakfast Smoothie and it went down a treat. You could also use your HAPS to create the most scrumptious breakfast, simply add your sachet of HAPS to your smoothie, porridge or granola, using a hand mixer to combine the ingredients and top with fruit. Super tasty breakfast in minutes. This is not just a healthy drink, there's a real science behind it. It's natural because it contains whole fruit powders and boosters which increases serotonin production naturally, re-hydrates, revitalises and improves mental well being. Anything that tries to boost your mood naturally has got to be a good thing right? I do have to say I cannot be sure if this trial effected my overall mood, but I can say that during the days that I had one of these I felt as if I had more energy to tackle the day, it helped my motivation that's for sure. You can find out more on the WE ARE HAPS website, don't forget that while you are there you could make a little purchase for yourself from as little as £1.10 per serving with the sachets or pouches. There are also different ways in which you can purchase your HAPS. #FeedYourHapy with WE ARE HAPS. 1 comment on "#Feed Your Happy With We Are Haps "
SCREENTIME AND TODDLERS - Am I a Bad Parent?